Add to the flavor of any food you would add garlic to including garlic bread. By gently melting home-made, pastured, grass-fed butter, and adding a handful of smashed fermented garlic cloves. Just like all the other lacto-fermented recipes, it is difficult to give you exact amounts of how many pounds you will use for each Pickl-It. A good rule-of-thumb is that you may get anywhere between 6 & 16 heads of garlic in one-pound. There may be 6 to 16 cloves of garlic in each head. USE ONLY ORGANIC garlic. Local being best. most garlic sold at conventional grocery stores is from China and there is a question about the amount of chemicals used to grow them as well as antifungal sprays used for shipping them. do not damage the delicate garlic clove skin or cut into the cloves. Which will start a chain reaction of chemical events. Do not cut the root end as some recipes recommend. Blanching is the key to skin removal - The blanching part is important as it deactivates certain natural chemicals in the cloves. The blanching is best for long-term storage - for those who are putting away many pounds in 4 or 5-liter Pickl-It for 3 to 5 year storage/use. Raw will be fine, but will probably want to use them up within a year. Break open a garlic head, sticking a knife tip, or if wide enough, your thumbs in a crevasse – the seam between two garlic cloves. Remove all garlic cloves from the root end and center talk. Heat 6 cups of water to near – boil. There will be a “puff” of steam rising off the surface of the water when the water is ready. While water is heating, prepare a bowl of ice water which includes 4 cups of water and 4 cups of ice cubes. Set aside. If food-preservation – long-term 3-5 year storage in the Pickl-It is your goal, prepare 3.5% brine – 33 grams of salt for every 4-cups of water. Set aside. When creating smaller batches – 1.5-liter or less – use a 2% brine – 19 grams of salt for every 4-cups of water. Set aside. Drop 1 cup of separated cloves into the simmering water for 30 seconds. Remove cloves from water and quickly dip into the ice water. Cool for 30 seconds and remove from water by hand, or with a clotted spoon. Spread blanched/cooled cloves on a cookie sheet and continue with remainder of cloves until all of them are blanched and cooked. Place peeled garlic cloves in the Pickl-It, cover with prepared brine filling to the Pickl-It shoulder. Use the “Dunk'R to hold down “any cloves that float; adding carrot slices under the Dunk'R if necessary. 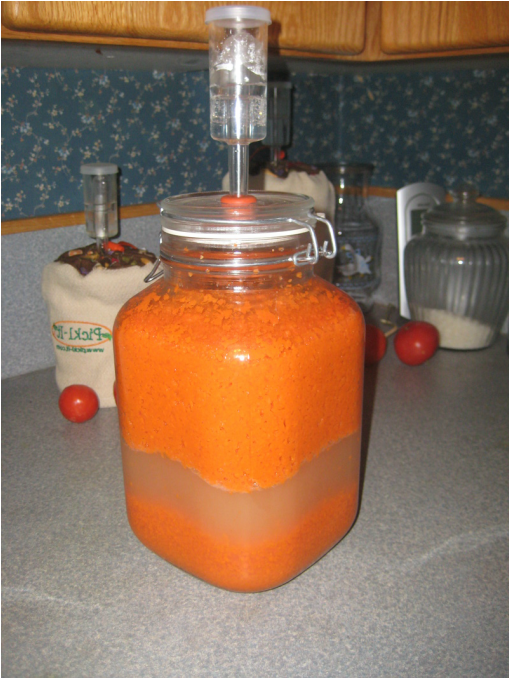 Allow covered jar to sit on counter in dark spot for 30 days (this is an alkaline ferment rather than lactic acid - which is also true of Ginger and Turmeric ) ; place in refrigerator and continue to “age”, garlic benefits from aging up to 3 months before use; stores well in refrigerator up to one year. .The longer (up to 6 months is even better) they ferment, the more the flavor is like baked garlic - If you open too soon, the volatile oils are too "hot" - even can burn eyes. 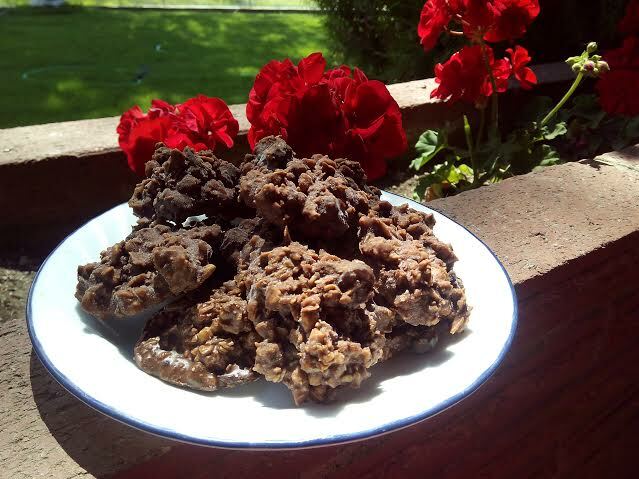 If you LOVE raisins like me and have a source that are not sweetened add ½ cup of raisins. Do not add in Ground Flax seeds as Flax seeds raise estrogen levels more than soy does. Drop by tablespoonfuls onto waxed paper-lined baking sheets. Refrigerate for 15 minutes or until firm. Will need to keep refrigerated as they will melt due to the coconut oil in warm (76 or more) temperatures. 1 cup hot water (about 140 degrees) - Put rest of ingredients in with the hot water as heating so they mix well together. Pour Wet ingredients together in large bowl with dry ingredients and “fold” the ingredients just until moistened. Wrap towel or thick cloth to block light and put in dark place , allowing it to sit at room temperature for TWO days. Using a small Ice Cream scoop about 1.5 teaspoons – drop ½ inch to ¾ inch dollops of loosely packed granola onto Teflex sheets, leaving airspace between each mound. After an hour, break the granola “dollops” in half. Turn Dehydrator down to 95 F , until the granola is thoroughly dry. Store in a wire-ball container to maintain crispy texture. Variation: Use leftover cooked oatmeal. Replace dry oatmeal called for in this recipe and reduce the 1 cup hot water to ½ cup hot water. Use about One to 1 ½ lbs of carrots - Need to be biodynamic -non sprayed or Organic carrots, - don't peel, but just scrub clean. Make ahead 1% brine - Use ideally Brazillian White Salt or a non processed salt You will want to weigh your salt. 1% brine for 4 cups filtered (no chlorine or fluoride) water Use 4 cups water and 9 grams of salt. If you don't have the salt that dissolves instantly, will need to heat the water to near boiling, add salt, stirring till salt dissolves, then wait several hours till brine cools to room temperature. then Pulse in food processor with S blade till like wet sand or mud like and will stay in a wet ball. May need to add ½ cup to no more than 1 cup of the brine at this stage to get the right consistency, depending on the moisture content of your carrots. Fill the jar rest of way to Shoulder only with the 1% brine. Secure a towel around the jar – not covering airlock. Ferment on counter at around 72 degrees for 3 days. 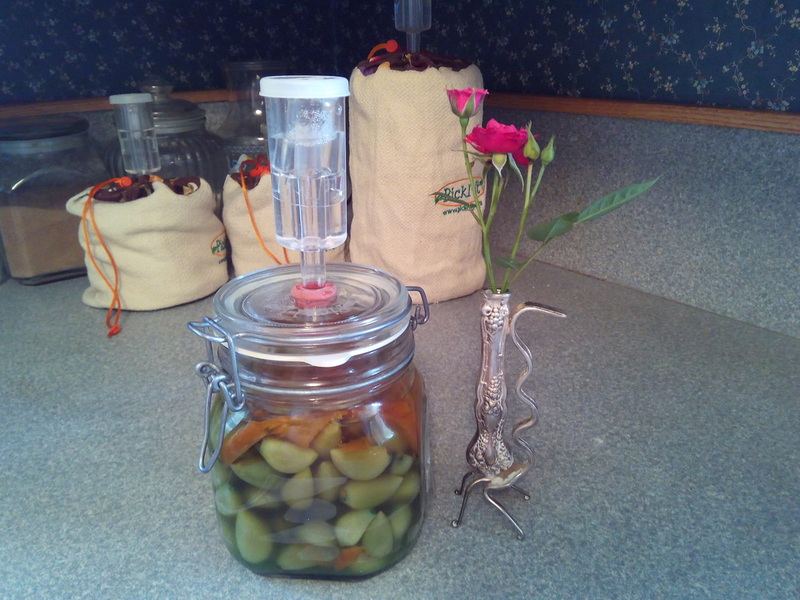 Put in Refrigerator for 17 days with airlock in place -do not open Pickl-it. Strain to remove pulp – can cook with the pulp. - Put juice into swing top bottles . 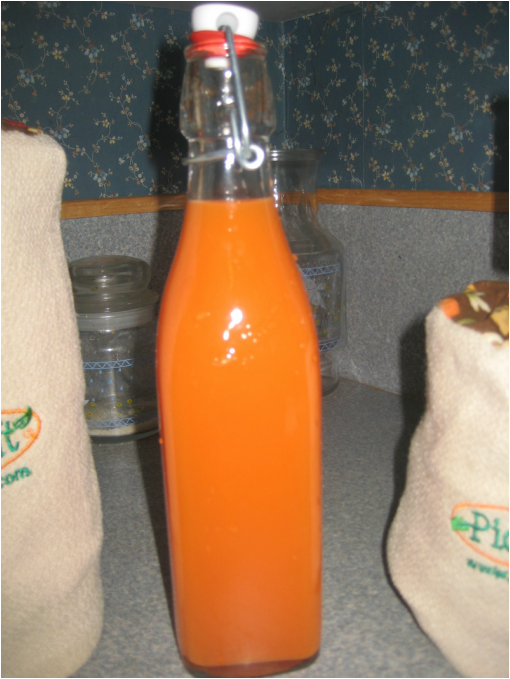 If leave in Pickl-It, leave carrots in, but move to bottles when strain out fiber. Drink no more than 1 oz. Daily on empty stomach in morning. May increase amount to 1/3 cup daily max. Can do Fruit juices too with 1% brine. Heat Coconut oil or butter in a large stock pot. Saute onion and garlic until soft. Add stock, salsa verde, tomatoes, chilies, and spices. Bring to boil, let simmer for 10 minutes. Then add chicken, beans and corn; simmer 5 minutes. Add sea salt and pepper to taste. All of these should be germinated in a 35% H202 (hydrogen Peroxide) Food Grade solution diluted to 3% (11:1 water to H202) . 4 to 24 hours depending on the size and hardness of the grain. Lentils and Peas only need to be soaked for 4 to 6 hours. 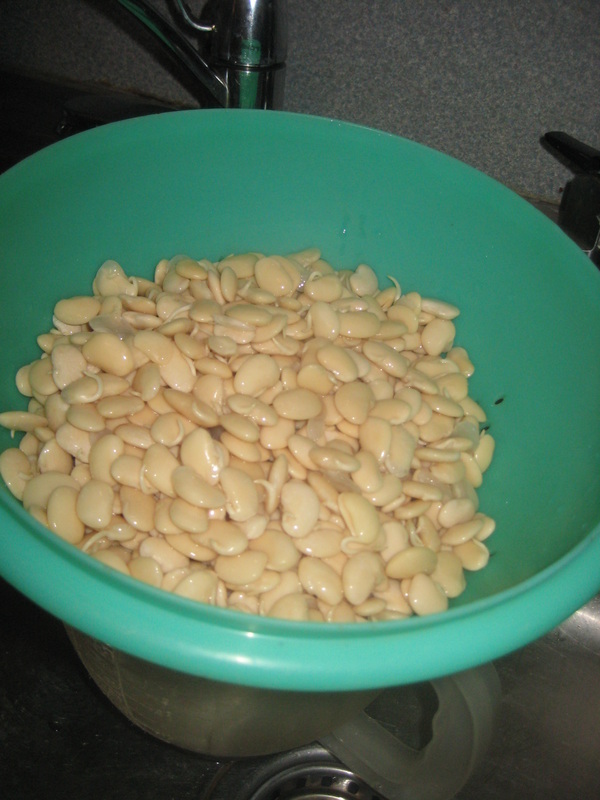 Garbanzo Beans – soak 4 to 5 hours. 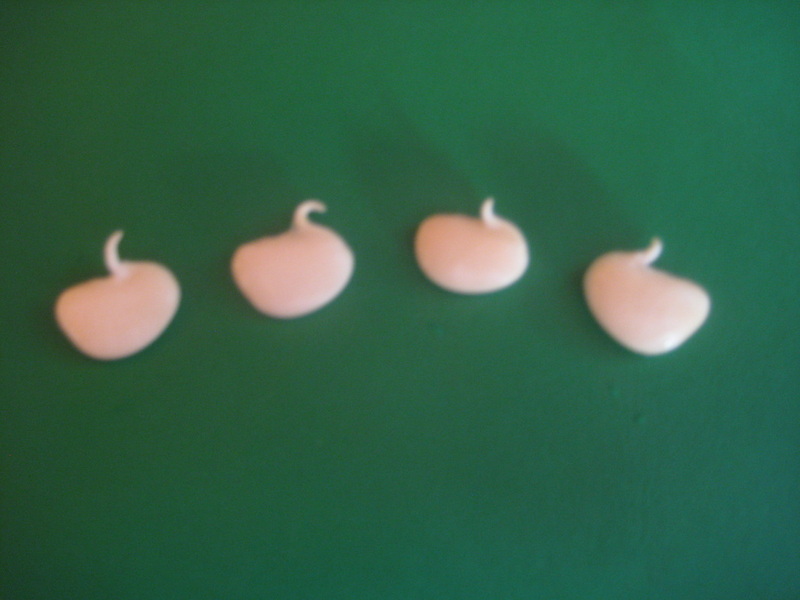 Germination process: - This process is intended to break the simple carbs down so they are more easily digestible . It creates “fermentable” sugars which is why beeer makers germinate their grains – to convert the sugars into a form that is more easily used during fermentation. . Germination alone does help with flatulence. In addition, Vitamin content becomes more bioavailable. Drain off and throw out Soaking water – Especially since large bean water such as navy, red kidney bean, white Italian bean, black bean . Etc, have toxic chemicals in them which MUST be HEATED to be inactivated. Note: small beans such as lentil do not have the toxic chemicals in them, therefore, heat inactivation is not crucial - this is why directions in the Dosa recipe saves and uses the soaking water. Place the bean/seed/grain into a strainer with good air flow (lots of good holes -not just a little design - open to the air) . (Bamboo strainer/baskets are ideal) Plastic is fine and better than metal which “burns”. Can leave on the counter – no need to refrigerate. Rinse every 2 to 3 hours with cold water until germination occurs – just until the “root” pops out of the seeds/grain/legume. A short root – even just barely popping out is a good enough evidence that the bean/grain or seed is alive. The root should not exceed 1/3 of the length of whatever is germinated. If the root grows longer than that, the germinating bean is using up far too much nutrition from the original food – not having enough nutrition remaining for humans - And will turn bitter. Use cold water since heat builds up in the middle which is a breeding ground for mold and bacteria. Although no need to refrigerate during this process. Also , do not need to rinse during night. Fermentation Process: - This process takes the nutrients to one step beyond germination and creates lactic acid bacteria, enzymes and all the other benefits of fermentation that germination doesn't create. For example, Inflammatory Omega 6 EFA are converted into non-inflammatory , beneficial short chain fatty acids. Place Drained, Germinated Beans in the Pickl-It. 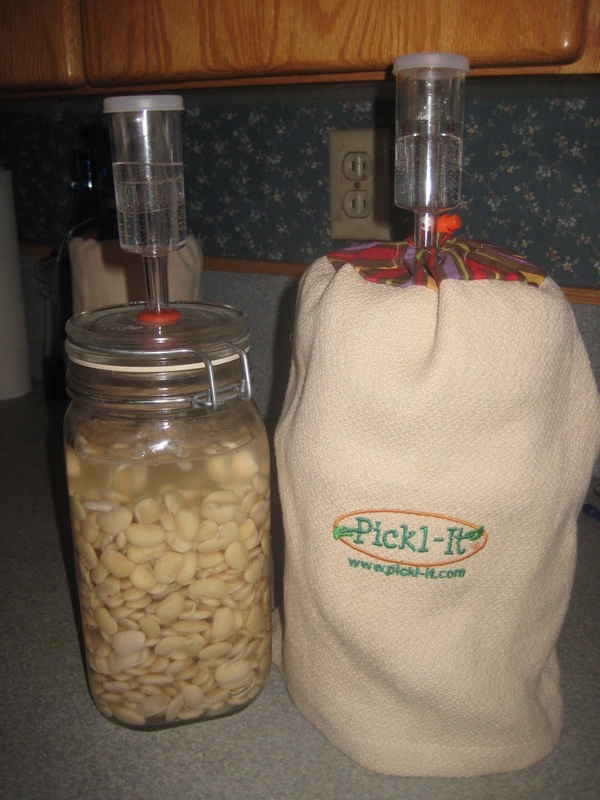 Latch Pickl-It, insert airlock, fill with 1 ½ Tab water, put cap on airlock, and cover with towel. Leave to ferment on counter for 12 to 24 hours. Drain and Throw out Fermenting water. 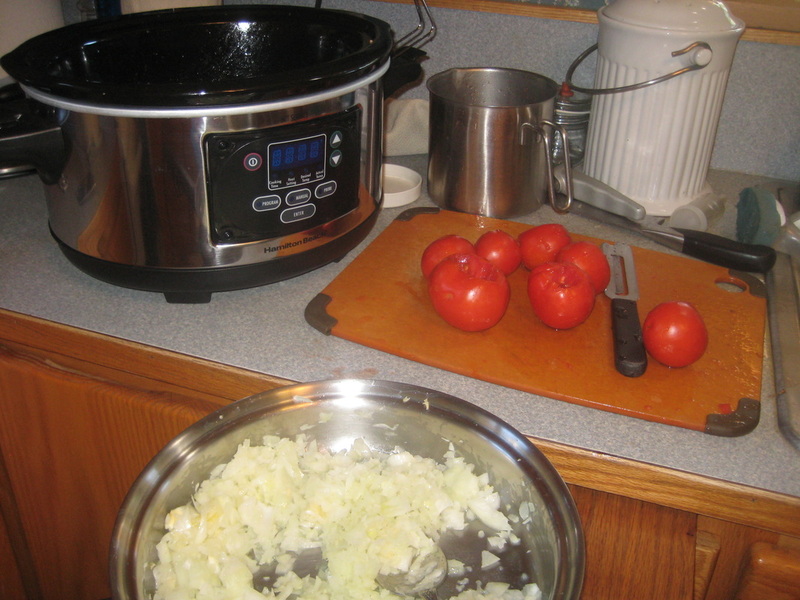 Cook Beans till soft – will take less time - May want to cook your vegetables and have them soft before you add the germinated/fermented beans to the soup. Chronic Pain relieved with Liquid Supplements! My health problems started with pain in my shoulders that soon spread down over my arms to the point that I couldn’t even lift my arms over my head . I couldn’t wear a T-shirt or pullover, and sometimes to wash my hair in the shower I would have to hold one arm up with the other hand and wash one-handed. These problems were soon followed by stress fractures in my foot, which required me to wear a therapeutic boot rather than sandals or tennis shoes. After being on my feet for any length of time, a pain would develop in my knee. The serious nature of this problem kept me from being able to enjoy walking with my husband in the evening. I also experienced pain and numbness due to carpal tunnel and had to wear a brace on my right knee. All of this pain prevented me from sleeping through the night, and I had to completely change my sleeping habits. The only way I could sleep was on my back with pillows under my knees or in a recliner. I went to several different doctors, Being referred from one to another, and had many tests performed. After all of the tests and various medications, that was simply told that my rotator cuffs were worn out, and I would need replacements. I had chronic pain throughout my body with symptoms of fibromyalgia, although the disease was never medically diagnosed. I was diagnosed with osteoporosis. When I started taking liquid phytonutrient supplements, I stopped taking my pain, anti-inflammatory and hormone medications. I also stopped taking my vitamin pills. Within a week I spent all night without waking up in pain. After two weeks I could walk a mile without pain. I recently celebrated two years of no medication and no replacement surgery. When I had my last physical, my calcium level was normal, and my bone density was above normal for someone in their 70’s. I know it is due to the liquid supplements. I was taking handfuls of calcium pills before the liquid calcium supplement, but my body wouldn’t absorb them. I am now able to live a pain-free life and do all of the things that I had not been able to do for three years. I thank God every morning when I wake up that I no longer have to drag myself out of bed and take one or two hours to get started. It’s a blessing for my loved ones and such a joy for me to jump out of bed and start the day full of energy. Mix all ingredients in a mixer until you get the consistency of the the soft skin under your arm when pinched. 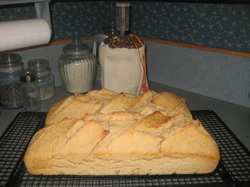 Do NOT add too much flour or your bread will not lift as much and will be more dense. Leave ferment in fridge for at least 24 hours, I like 3 days for Maximum breakdown for those with gluten intolerance or other digestive health issues. Turn oven down to 350 degrees and continue baking for 30 to 40 more minutes. Inhibit pathogens, such as E. coli or Clostridium perfringens – produces anti-biotic like, anti-fungal and anti-viral substances which dissolve membranes of viruses and bacterial. Fermented Beets, spanish (yellow) onion, green apple, whole spices triple natural quercitin found in these foods which helps to neutralize histamines. Transports minerals, vitamins, water, gases and many other nutrients through gut wall into the bloodstream. Provides a major source of energy and nourishment for the cells which are lining the digestive tract. Since we care what we share – we want to know that we are offering a healthy alternative – most people who drink energy drinks don't care to know these details like we do. Taurine - Amino acid we need daily If we don't get it from our food, our body will be comprimised. - vital for regulating our heart rhythm and contractions as well as regulating blood pressure. Helps detox liver, - Helps body use electrolytes properly - helps get rid of lactic acid build up in muscles , helps get rid of oxidative stress enabling muscles to work longer and harder without stressing them – therefore less fatigue. 99% of Taurine is found in animal products. A lot of vegans do not get this. Citicoline|: (nutrient fat that the body uses) Is a Brain food and is very new. Body produces on its own and uses it to produce nutrients brain uses to function properly. People with brain injury need this nutrient to regain proper and healthy brain function. A building block used to produce Phosphatidylserine and other neurotransmitters. Incredible studies are being done in using this nutrient to help get amazing results for people with dementia, Alzheimers and strokes. Brain uses it for protection and to regenerate . Also for increasing production of ATP – which is the energy source for all of our cells. Energizes the entire body at a critical cellular level, an antidepressant as well. Vitamin B Blend. Stress causes B vitamins to go first. So this helps ease stress which helps reduce the risk of heart disease. Also lifts your mood. Niacin, increases energy and used for DNA repair. Pantothenic acid speeds healing of wounds inside and out and reduces cholesterol. Vit B 6, is needed for neuro transmitters in the body like serotoin and dopamine (feel good hormones). Vit B12 is critical for our brain and improves memory and mental focus. Guarana herb is used a lot by athletes because it reduces fatigue and improves focus. Is closely related to caffeine, because it has a a caffeine like component. This caffeine component is counted in total caffeine amount. Will help to keep you alert. Strongly promotes concentration and mental presence. Is a neuro stimulant. Also activates body's ability to burn fat for energy rather than muscle. Is an immune builder. American Ginseng: fights fatigue. Used by athletes because it helps to use oxygen more effieciently. Helps lung capacity and breathing. Regulates metabolism. Helps with concentration and mental clarity. Helps regulate blood sugar, too. Yerba mate, is in sun bright too. Can drink on a daily basis to help feel energized, focused and clear mentality. Is a wonderful antioxidant, Contains an incredible amount of nutrients including chlorogenic acid like in green coffee bean. Is a whole body tonic and immune strengthener. Kola nut..helps oxygen use in blood stream. Increases the levels of oxygen available to use by the body. Is a bronchial dilator. Has a type of caffeine that is not addictive. Very good for digestion, especially after eating a heavy protein meal. Good for blood pressure. Pain reliever and is good for migraines. Is a non addictive antidepressant. Increases circulation and oxygen in the Brain so it can function better. Sugar in form of Stevia and just a little bit of fructose – only 5 grams sugar, yet tastes amazing. Beta carotene is used for yellow color. We have a gift we can offer the world. Sea vegetation is slowly emerging as one of the world’s leading sources of complete nutrition. This comes as little surprise when you consider most species of seaweed work as a sponge, absorbing an extensive range of nutrients from the surrounding water. In Fact, sea vegetables are the richest natural source of minerals, trace minerals and rare earth elements. And it’s actually been found that sea vegetation’s ability to absorb nutrients is passed on to us. A study by Dr. Eric Powell, Ph. D., confirmed that sea vegetables help regulate the thyroid and parathyroid, so that our bodies can absorb and use minerals at optimum levels, playing an essential role in maintaining the health and elasticity of the arterial walls. One such sea vegetable is Fucus vesiculosus, (commonly known as bladderwrack). Found in several oceans around the world, this species was actually the original source for iodine; an essential nutrient for the thyroid gland. In fact, according to a reference from P.R. Burkholder’s Drugs from the Sea, the low frequency of goiter ( an enlargement of the thyroid gland usually caused by thyroid hormone deficiency) in maritime people has been attributed to the iodine content in bladderwrack. This incredible sea vegetable, bladderwrack, actually produces an electrolytic magnetic action. More simply put, electrolytes are a major force in controlling fluid balance in the body. This electrolytic process releases excess body fluids from overcrowded cells and dissolves fatty wastes through the skin, replacing them with depleted minerals, particularly potassium and iodine. In addition, this all-natural iodine source elevates thyroid productivity, boosting metabolism, so food energy is used more efficiently; before it converts into fat. It’s like a personal trainer for your thyroid. By no means is this a miracle-cure claim for obesity. But according to a study by C.O Moro and G. Basile from the Department of Pharmaceutical and Toxicological Chemistry of the University of Naples, the consumption of bladderwrack is a way to safely approach weight loss through an all-natural substance that carries multiple health benefits. It even possesses properties that have been proven to help reduce cellulite. And no matter how amazing the benefits of a particular food, it’s important to realize that you significantly increase your chances of maintaining optimal health by consuming a well-rounded daily diet, consisting of multiple sea vegetables and, of course, regulated servings from the traditional food groups. And the safest, most effective means of weight loss and weight management will always be found through the balance of a wholesome nutritional diet, proper exercise and a positive self-image. Are our Kids more nutrient deficient than their parents? Our children are nutritionally deficient and it has been said that our children, will be the first generation to live fewer years, on average, than their parents. These days, we have seen an explosion of illnesses/diseases in children that never existed before. From Autism to Diabetes, our children are getting sicker every year. Obesity has been widespread amongst our children also. Because of the lack of nutrition in our foods, their little bodies are “missing” nutrients, and they feel that. In turn, they run to the cupboard for something that will give them that “missing” link. What do they run to? SUGAR. Yes, that compound that puts on pound after pound and produces body weights that are off the charts for their ages. It also plays into the Diabetic Epidemic in kids. The following paragraphs give a detailed account of WHY our food is so deficient in these life sustaining minerals. Make sure to read until the end to find the solution that we propose. Nutrients such as vitamins, proteins, enzymes and amino acids, are required for our bodies to function properly. These nutrients are dependent upon minerals. Minerals are predominantly obtained from the food we eat, and the mineral content of that food is dependent upon the mineral content of the soil it grows in. Therefore, depleted soils create mineral deficient food. All of this results in mineral deficient bodies, from which comes an abundance of health problems and degenerative diseases. A few of the major symptoms and illness linked to mineral deficiencies are osteoporosis, bone and muscle weakness, growth failure, mental apathy, paralysis, glucose intolerance, anemia, poor wound healing, changes in hair, skin and nails, and liver problems. A lack of minerals can also lead to weight gain, as a deficiency leaves your body craving minerals and never feeling satiated. A shortage of even one mineral in your body can trigger all sorts of problems. In 1936, Rex Beach presented document #264 to the US Senate, which discussed Dr. Charles Northen’s research on the prevalent mineral depletion of America’s soil. At that time, North America’s soils were estimated to be hugely lacking in mineral content and 99% of Americans were considered mineral deficient. Dr. Northen conducted experiments in which he restored the mineral balance to the soil of one area of a crop and left another area alone. The plants grown in mineral-rich soil consistently yielded healthier crops free of pests and fungus. Studies showed then, and maintain today, that the vegetables, fruits, grains, milk and even animal products that are eaten today do not provide the same nutrition as they did 100 years ago. It is impossible for a person today to acquire all his mineral needs from food because our soils have become so deficient. Hundreds of years of farming the soil, combined with the effects of pesticides, herbicides, and air and water pollution, have slowly drained the soil of its vital elements. In 1936, the importance of minerals in food was a relatively new concept that Dr. Charles Northen and Dr. William Albrecht were only beginning to introduce to the scientific community. Their research and experimentation produced startling truths about the importance of minerals in soil and the effect of mineral depletion on the health of our bodies. Studies today confirm Dr. Northen’s conclusion that the mineral content of soil does in fact affect the mineral content of the food grown in it. Unfortunately, 68 years later, little has been done to better the mineral content of North America’s soil. The 1992 Earth Summit soil mineral depletion report showed soil depletion in North America to be at 85 percent, the highest in the world. This is a sad statistic for a country that is supposed to be healthy and prosperous. Fortunately, it is possible to ensure sufficient mineral intake. Life Force International, a 30 year old company out of San Diego, California, has been successfully supplementing tens of thousands of peoples’ diets through its line of products. Body Balance, the flagship product, is simply a Whole Food derived from Aloe Vera and Sea Vegetation (it actually tastes great). Body Balance contains 120 trace minerals, all major vitamins, amino acids, enzymes, Omegas, and several other Phytonutrients that maintain healthy cell communication. Because this is a FOOD, it is absolutely safe for children and because of the added Black Cherry; the taste will not turn them away. You can feel satisfied that your kids are getting everything they need, from a nutritional standpoint, when using Body Balance!